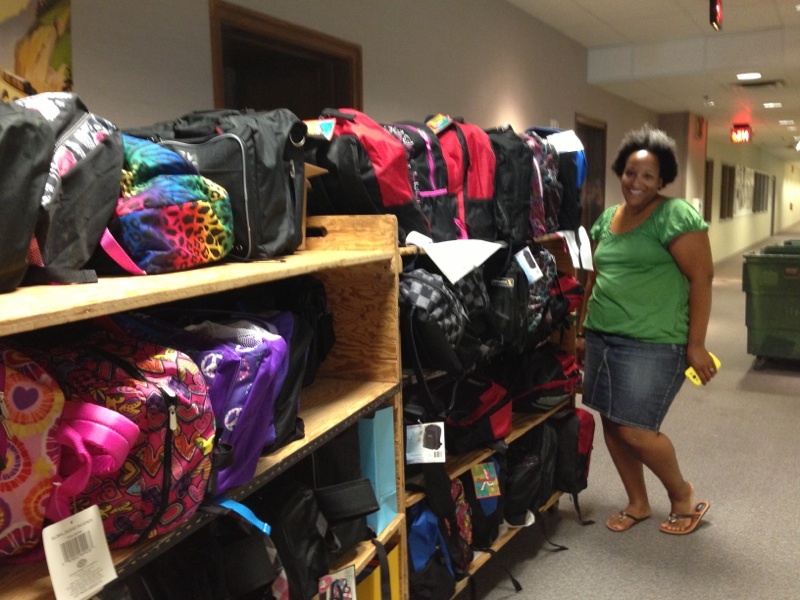 Melissa Walker with donations for the Back-to-School drive. Contact Dee DePass for your receipt options and to select the one that is right for you (re: did you make a money or a supply donation?). Thanks again for your help with this year’s drive. The drive ends next week on Friday, August 8, and we still need supplies. 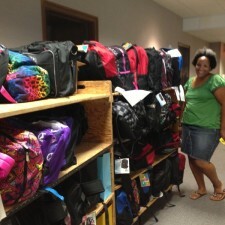 The county comes the week of Aug. 11 to pick up the backpacks. We hope to outfit 150 kids this year.